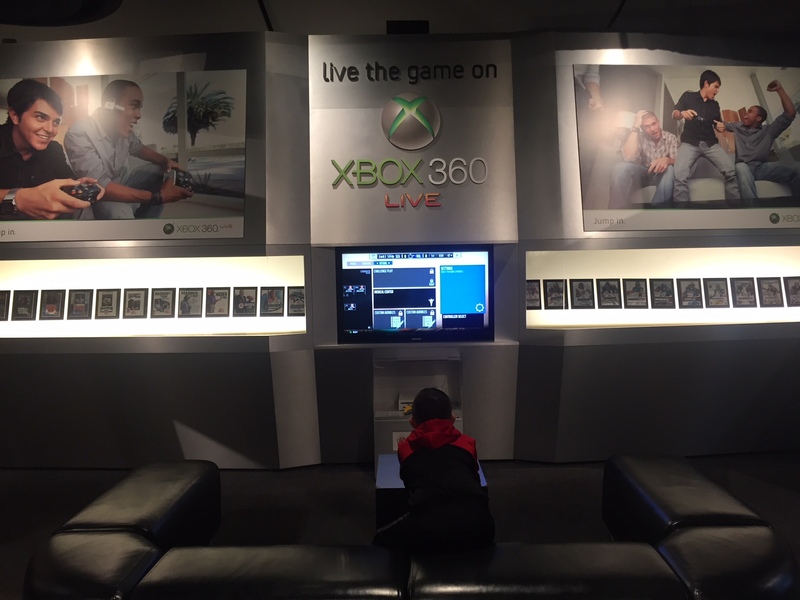 Mom Fab Fun – Family Fun: Pro Football Hall of Fame Visit! Discount Code! 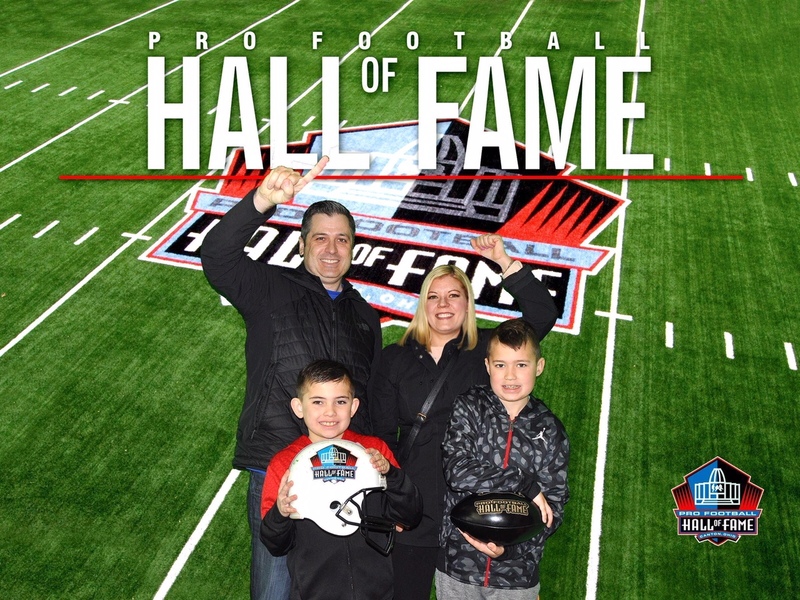 Family Fun: Pro Football Hall of Fame Visit! Discount Code! Let me start this by saying I am the mother of two boys and I am not a football fan. 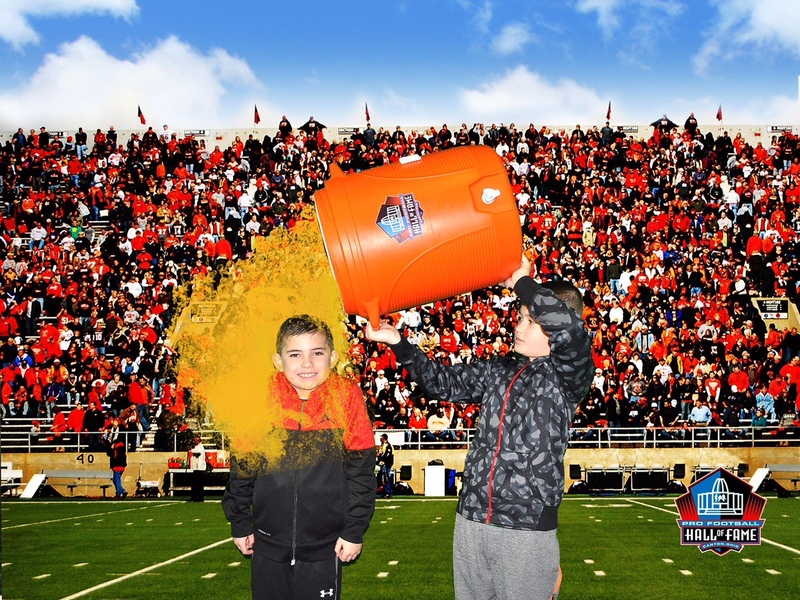 Of course my boys, Ryan (10) and Sean (8) love football! My husband loves football but me not so much. 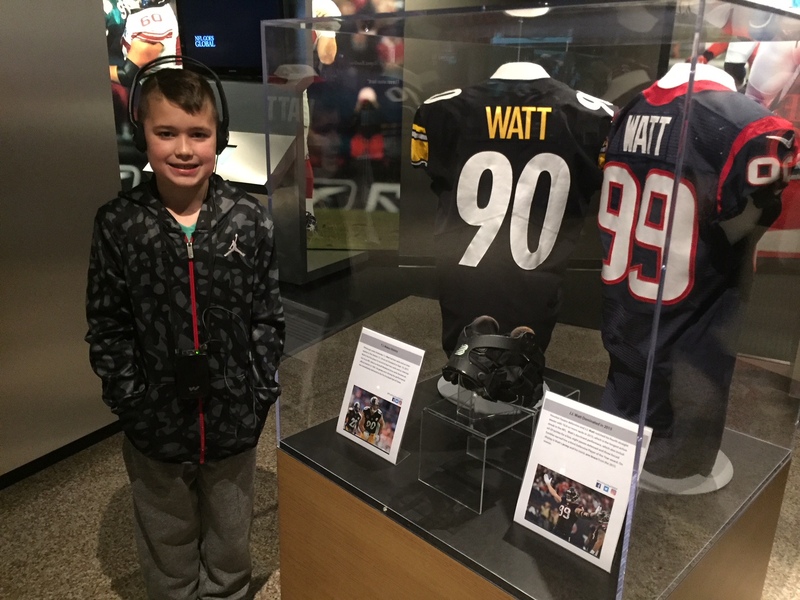 We had an opportunity to visit Canton, Ohio’s Pro Football Hall of Fame, I thought it would be a great family trip. I also thought everyone would love it, except maybe me but that’s ok. Boy was I wrong! 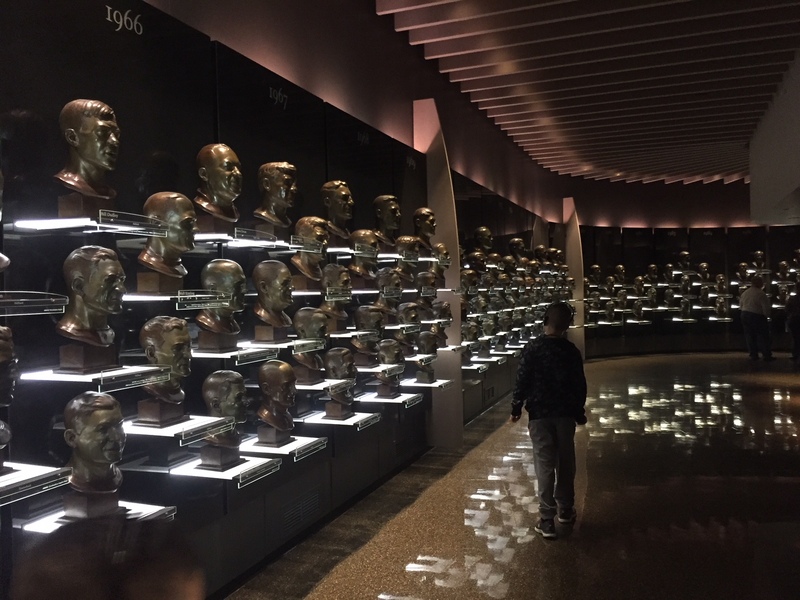 The Pro Football Hall of Fame in Canton, Ohio was one of the best museum visits I have ever experienced! 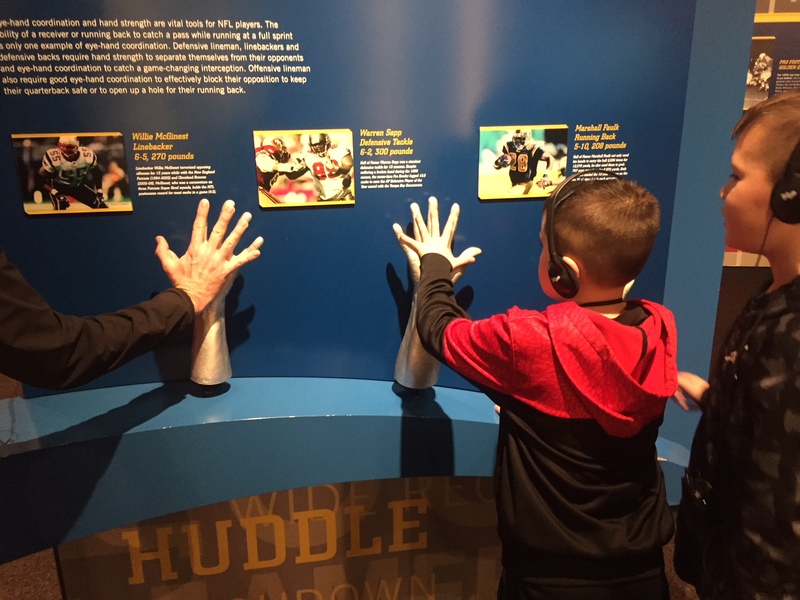 If you love football or your kids love football, get in the car and get over to the newly expanded and renovated facility and learn about the most defining moments in football history. 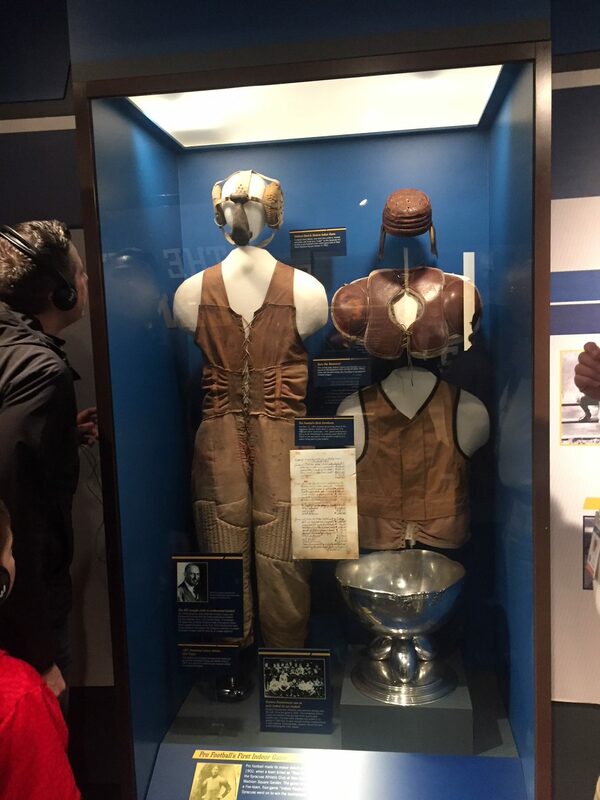 The Pro Football Hall of Fame is a world-class attraction with a mission to “Honor the Heroes of the Game, Preserve its History, Promote its Values and Celebrate Excellence EVERYWHERE!” We had a tour guide which was great because for someone like me it was nice to hear the stories behind the artifacts. My favorite story was that the Joe Nameth rookie card in perfect condition is worth $400,000 dollars today!! 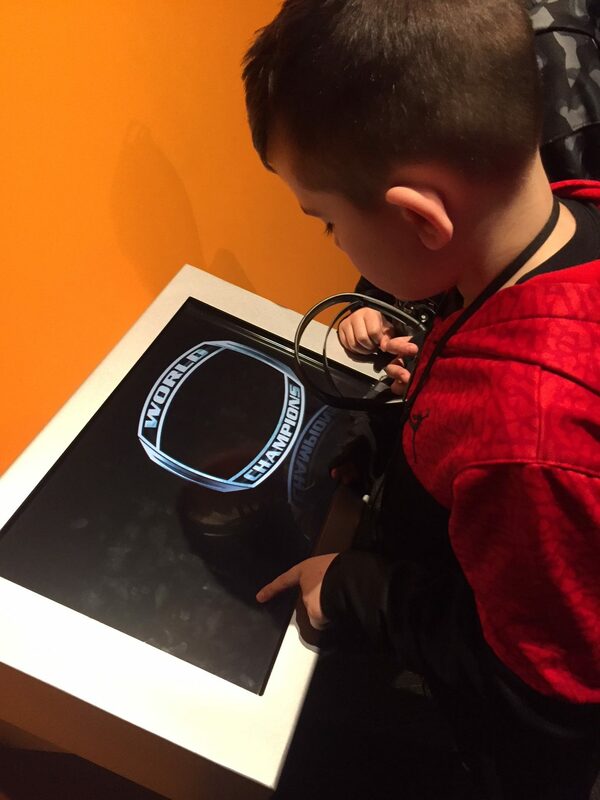 This is not just a walk around and look type of museum either it is very interactive. 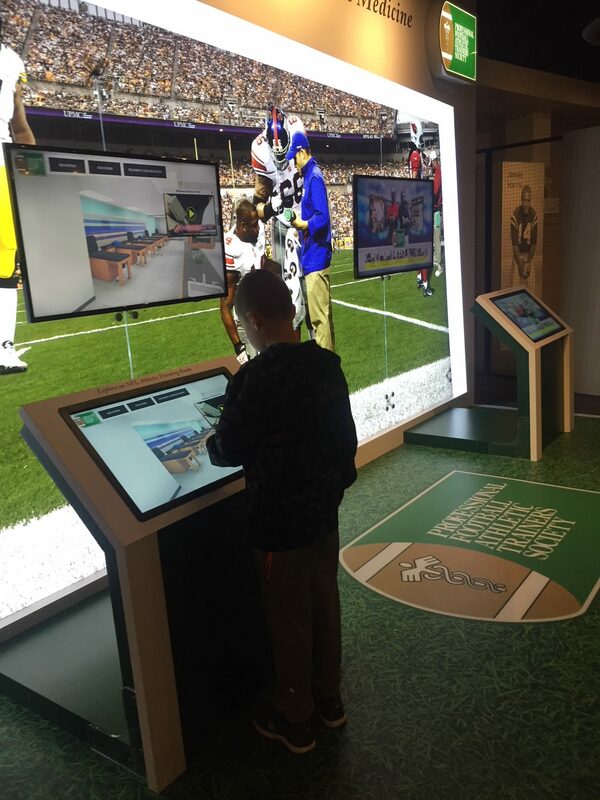 Visitors can play EA Madden Football downstairs, play interactive games throughout the tour, visit the educational bust room and look up players and stats, visit the Super Bowl Theater, or interact with Holograms of past players and coaches. My favorite part of the Pro Football Hall of Fame was the inspiring messages for kids throughout. Especially in the Hologram Theater. This was something straight out of Disney World, it was awesome! 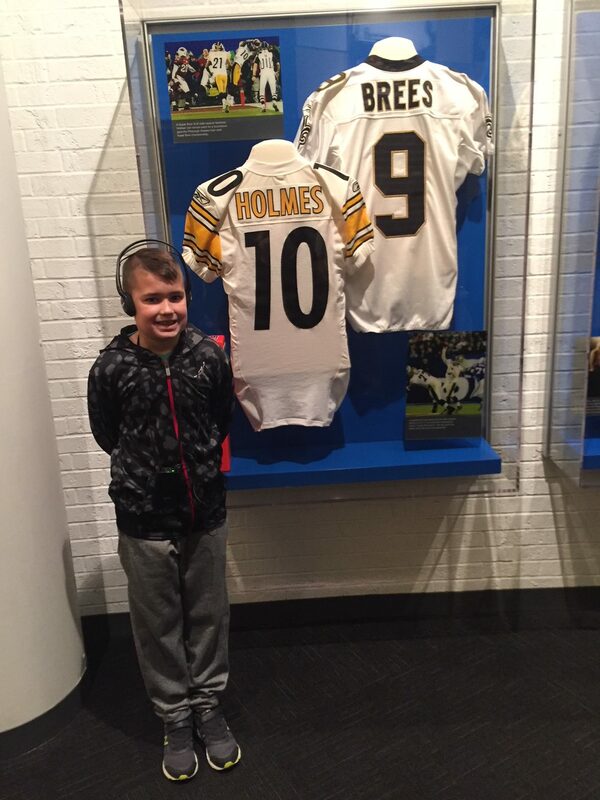 Pro Football Hall of Fame: The Most Inspiring Place, was a central theme and it really did come across. When you visit the Hologram theater many past players come out and say how they were not the fastest or the best player or someone told them they would never make a professional league. 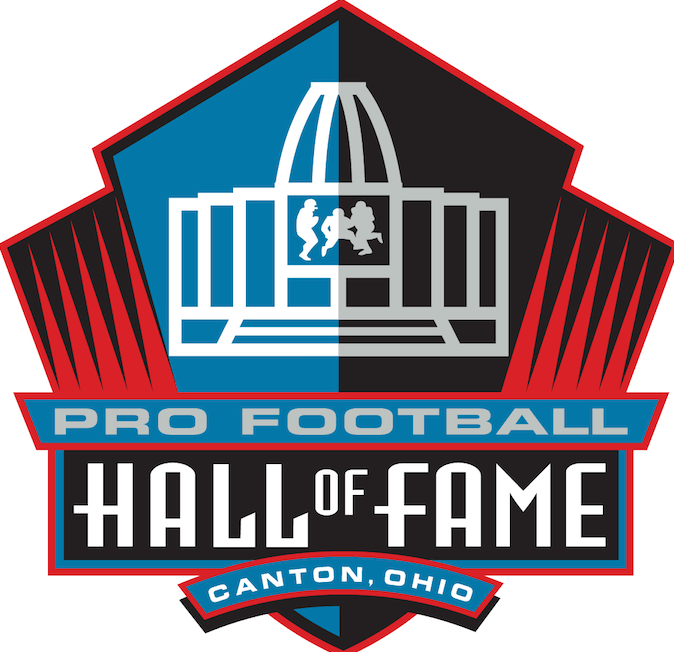 These players did not give up and not only did they play professional football but they ended up the in Pro Football Hall of Fame. That theater gave me chills. It is something I tell my kids everyday, ‘You don’t have to be the fastest, or the best, but just do your best at every game and see where that takes you.’ It was nice for them to hear that straight from the players themselves. This was my first visit to the Pro Football Hall of Fame but it definitely won’t be my last. 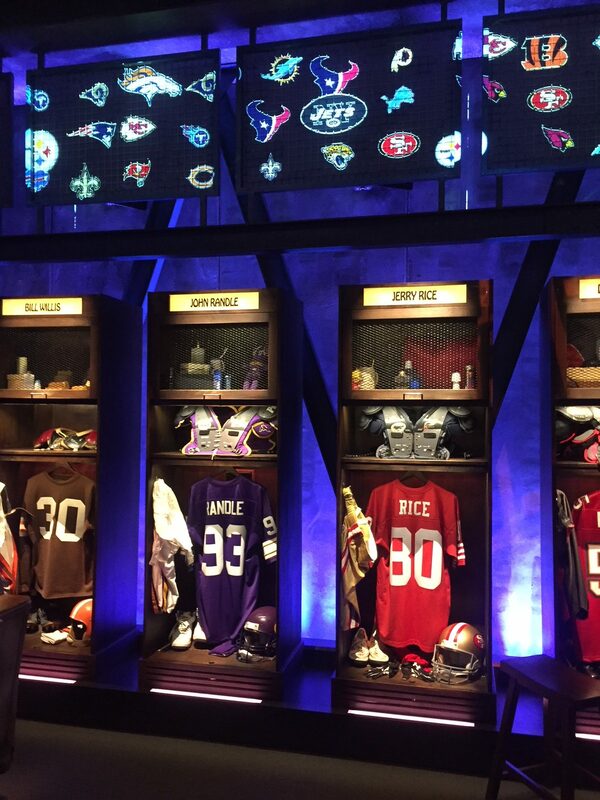 The Pro Football Hall of Fame is only getting better! They are currently underway with a $700 Million Dollar expansion. 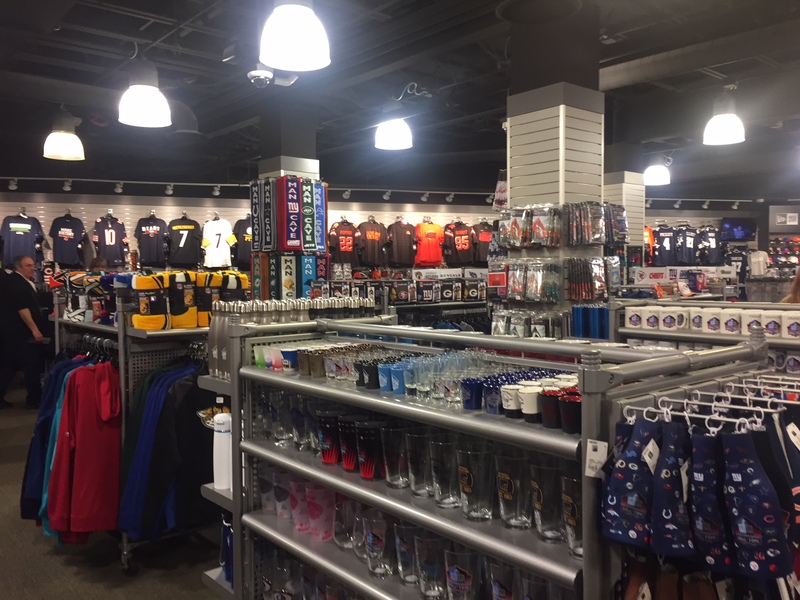 The project includes a football-themed hotel, waterpark, assisted living facility and much, much more! Of course no visit would be complete without an awesome gift shop! This was one of the biggest gift shops I have seen! So much cool stuff! It really is a cool place I highly suggested a road trip or Summer Field trip for families! 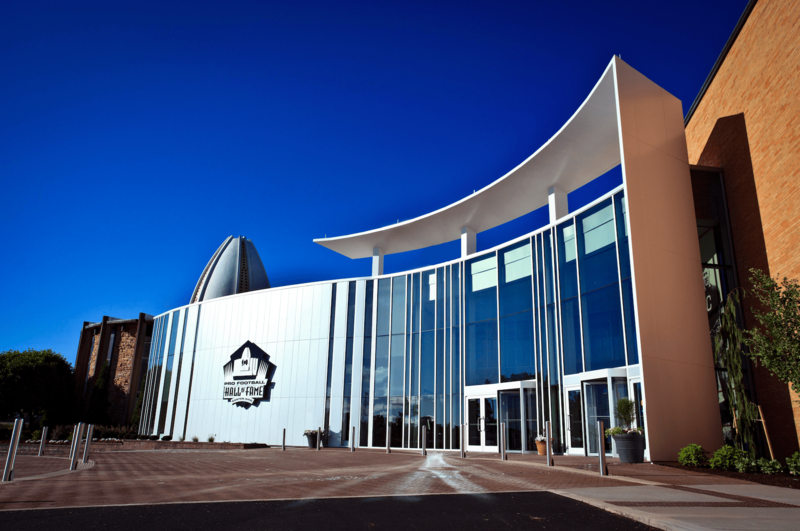 Pro Football Hall of Fame is appropriate for all ages and should be on your bucket list! Our Mom Fab Fun readers can recieve $5.00 of Admission. Visit the link and use the below Promo Code.